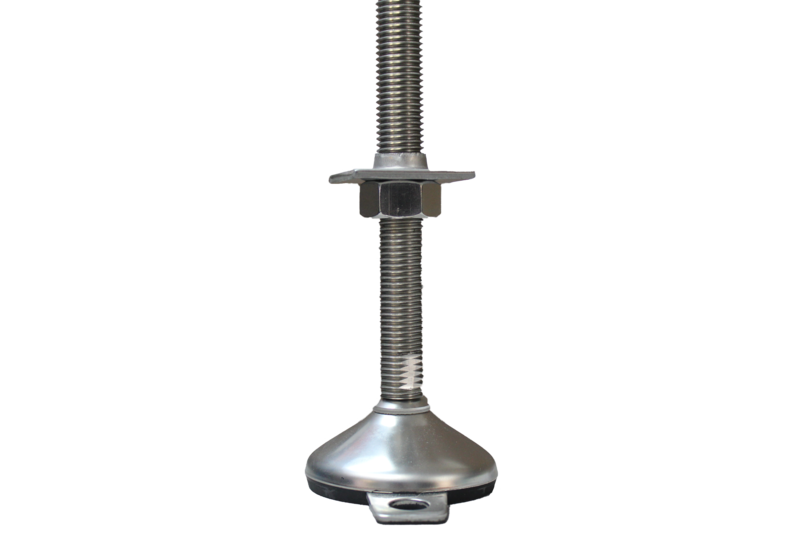 Our wide variety of support structures offer superior stability. Custom supports are tailored to your system. 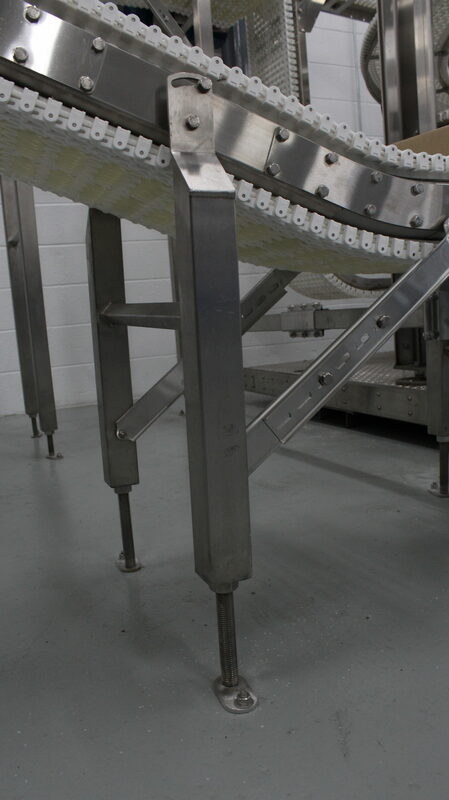 Sure, you picked the high-tech conveyor that just does what you need – but what’s keeping it stable? 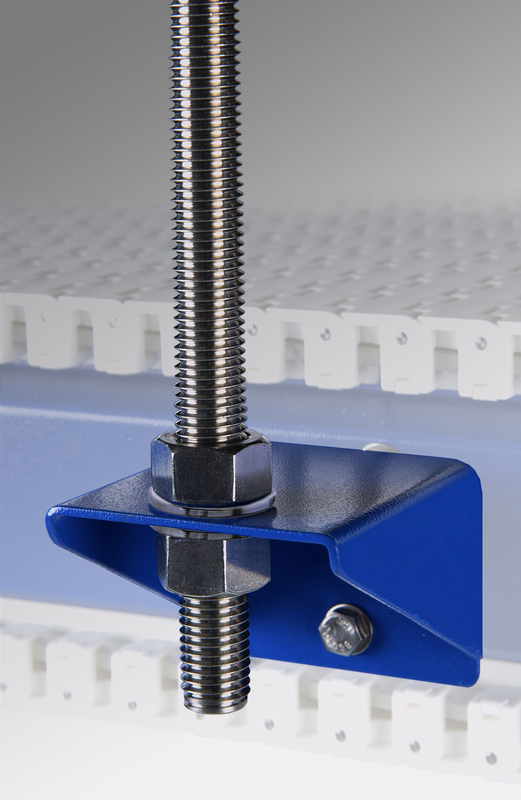 Our durable supports ensure that your systems stay working in place, and even allow for easy mobility when needed. Various modular support structures are available, offered in stainless steel, painted steel and anodized aluminum. 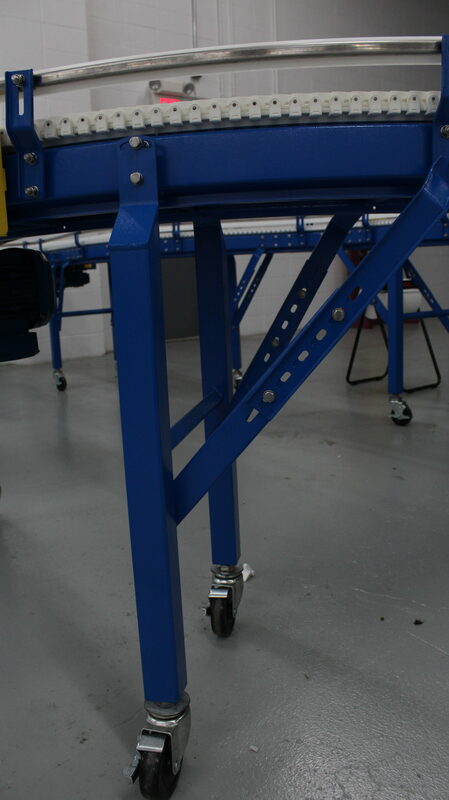 Our support structures are modular in construction – a support can be used on any Span Tech conveyor of the appropriate width. 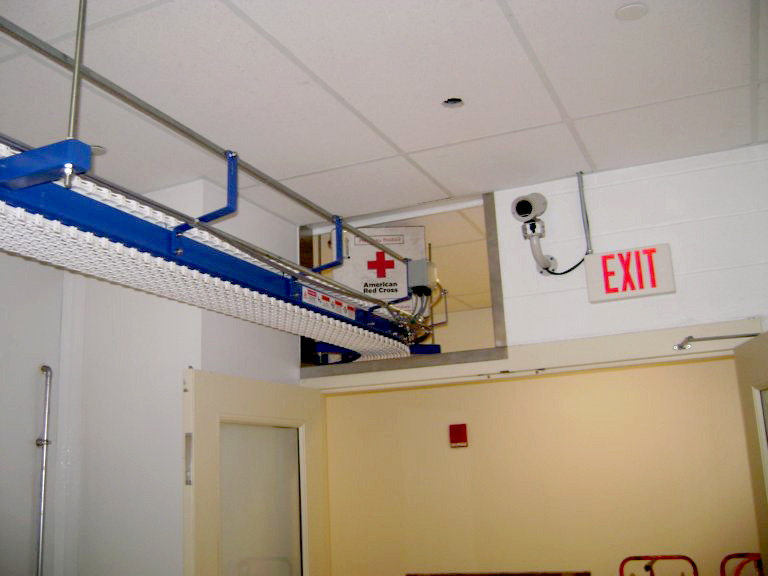 Our conveyors can also run overhead through the use of ceiling supports, saving valuable floor space for other purposes. 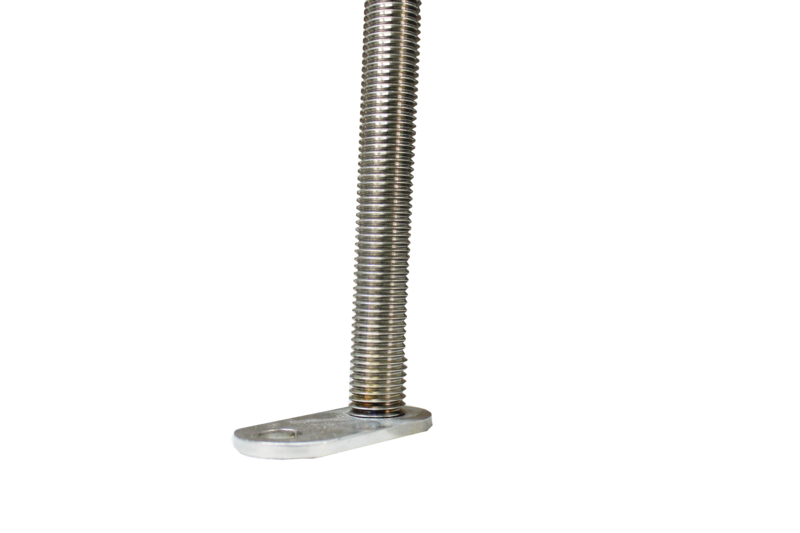 Span Tech standard stainless steel or painted mild steel supports are 2” x 2” tubing, with a 1” x 1” horizontal cross brace. 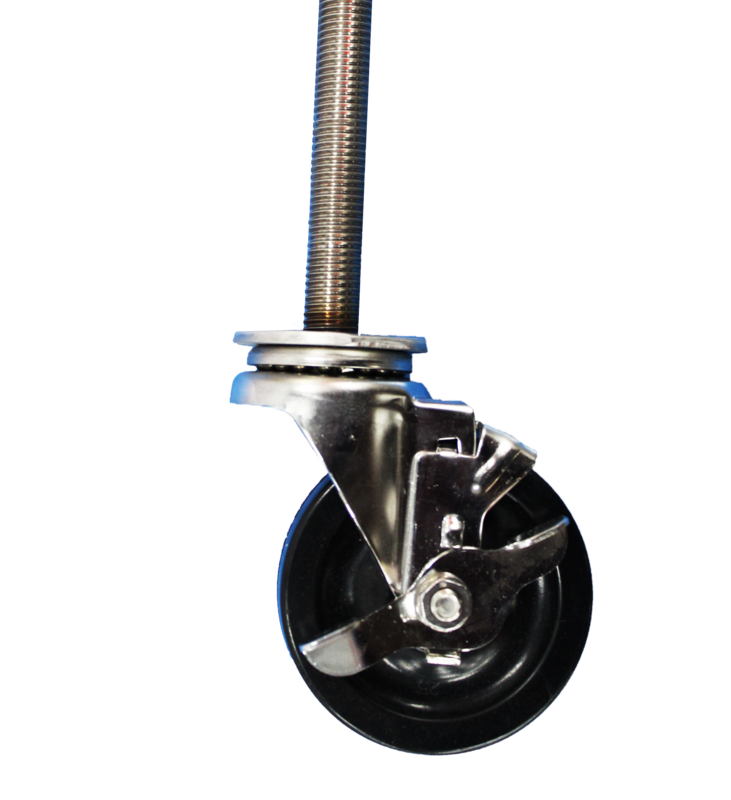 Drive supports include an additional extended bottom brace to help stabilize the drive end of the conveyor. Each support comes with optional feet types. • Bolted to the floor. • Free standing on padded feet.